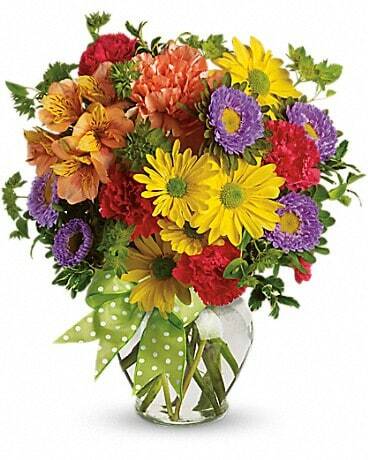 Alfa Flower Shop has become a trusted name in flowers throughout the Metro Milwaukee area. Since 1937, we’ve been committed to making your complete satisfaction our top priority. It has been our continuing professional service, elegant designs and vast inventory of quality fresh flowers that has become our success. We take great pride in crafting beautiful gift items perfect for any occasion. 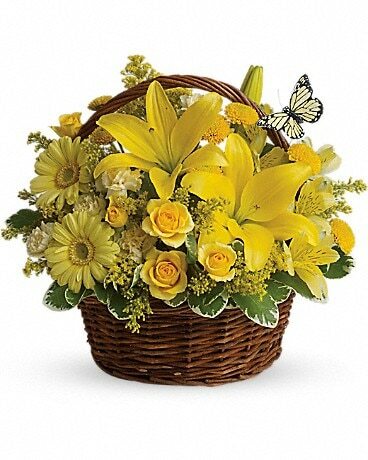 Choose from our extensive selection of fresh flowers, lush green and blooming plants, beautiful gift baskets and much more. We offer the most reliable same-day professional delivery service to all of Milwaukee and its surrounding suburbs. We also offer prompt nationwide and international delivery. Let one of our experienced master designers and our professional delivery service create and deliver the perfect gift for you! *Our shop is open from 8:30 a.m. to 5:30 p.m., Monday, Wednesday and Friday, from 8:30 a.m. to 6:30 p.m. on Tuesday and Thursday and from 9:00 a.m. to 4:00 p.m. Saturday. We are closed on Sundays, however you may call the shop prior to Sunday to arrange for Sunday funeral delivery. From Thanksgiving through New Years – We are open from 8:30 a.m. to 5:30 p.m. Monday through Friday (no night hours) Christmas Eve & New Year's Eve we are open from 8:00 a.m to 1:00 p.m. To help assure on-time delivery during the busy holiday season, place your order by noon prior to major holidays: Thanksgiving Day, Christmas Day, New Year's Day, Valentine's Day, Easter, Administrative Professionals Week, Mother's Day, Memorial Day, Father's Day, Independence Day and Labor Day. Our shop will always be closed on the following holidays: Thanksgiving Day, Christmas Day, New Year’s Day, Memorial Day, Father’s Day, Independence Day and Labor Day. 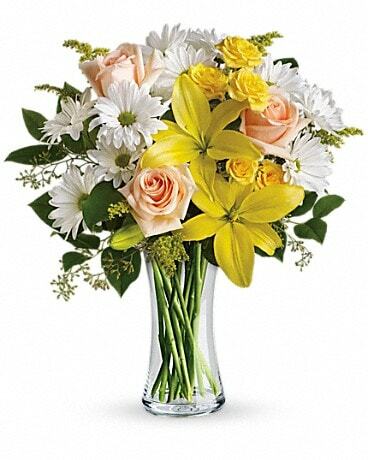 We close at noon on Easter and Mother's Day. Our shop is open from 8:30 a.m. to 5:30 p.m., Monday, Wednesday and Friday, from 8:30 a.m. to 6:30 p.m. on Tuesday and Thursday and from 9:00 a.m. to 4:00 p.m. Saturday. We are closed on Sundays, however you may call the shop prior to Sunday to arrange for Sunday funeral delivery. Thanksgiving Day, Christmas Day, New Year’s Day, Memorial Day, Father’s Day, Independence Day and Labor Day. We close at noon on Easter and Mother's Day. 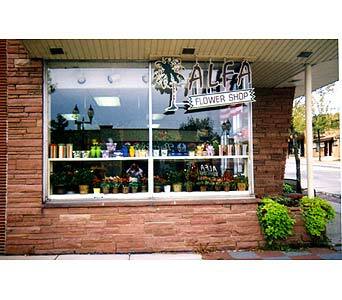 sales@AlfaFlowerShop.com or call us directly at (414) 475-7080 or (800) 524-8727. U.S. orders must be received before 11:00 in the recipient's time zone to assure same-day delivery. Orders received after that time will be delivered the following day. 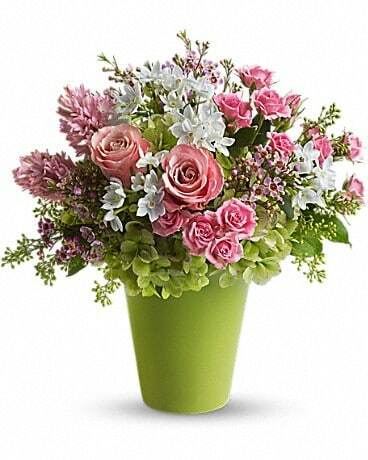 We can send your order anywhere in the United States by wiring your order to a floral shop in your desired location across the nation. There is a $10.00 wire fee per order. Either Call us to place your order or place your order on our website. We are unable to make deliveries on Sundays, except for funeral deliveries. Deliveries requested on this day will be delivered the following business day. If you open an account on our site or make a purchase, we need your contact information including your name, e-mail address, credit card and mailing address to complete your transaction.